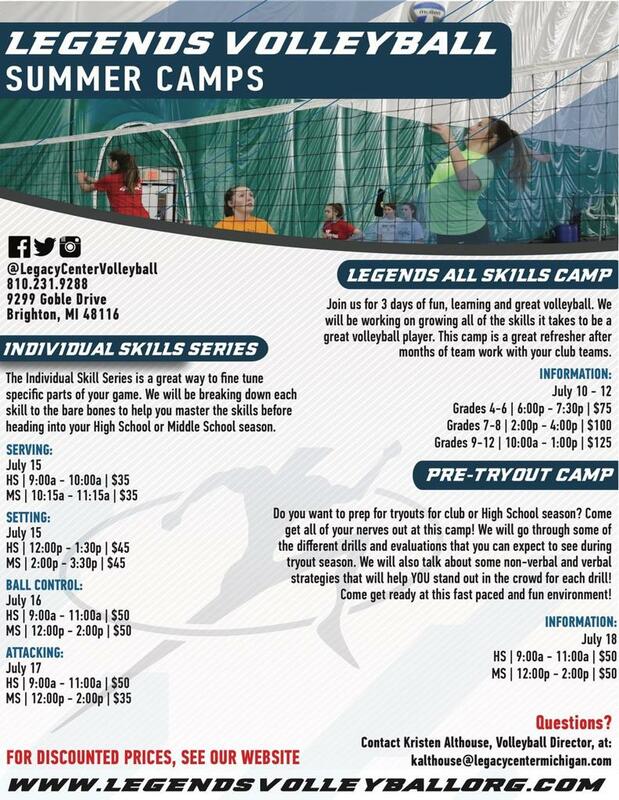 Legends Volleyball is proud to announce their summer volleyball camp series. You can find just about anything you are looking for this summer with us. We have individual skill sessions, all skills training and a camp to help get your jitters out before tryouts. All of our camps will be held off campus in an AIR CONDITIONED gym. We will be hosting camps at Shepherd of the Lakes Lutheran School. We are very thankful for this opportunity as our home courts tend to get very warm in the summer. It will be a great opportunity for more instruction. For more information and the address, please go to our summer camp page and check out the details! Can't wait to see you on the courts this summer!